We are always looking for fun, energetic individuals with the ability to produce WOW to join our team! Please submit an application so we can contact you if an appropriate position becomes available. Download the application now! Court Monitor: Work directly with guests, providing courteous, friendly, and professional assistance while enforcing Sky Zone safety standards. Flexible scheduling available. Event Coordinator: Book, confirm, and check-in events. 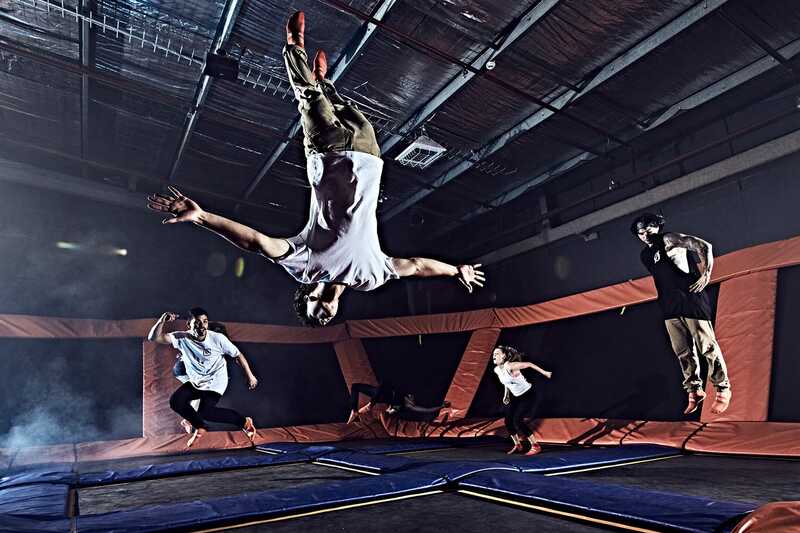 Event Coordinators provide superior customer service for all guests and work consistently towards goals set to generating new business for Sky Zone Plainfield. Open weekday morning, weekend, and holiday availability preferred. Maintenance Assistant: Help maintain the facility. Must be willing to learn new skills, complete thorough inspections, and work as a team. A special, ONE-DAY Warrior Workout with Meghan Anten! Sky Zone Plainfield is proud to support local charities and community organizations. Please submit all required information below. Requests sent in without a Tax ID number will not be considered. Sky Socks are required to be worn while jumping with us. Our socks have special grips on the bottom that were designed for our trampolines and help keep our guests safe! If I'm watching others jump, do I need to purchase jump time? If you are only spectating, then you don't have to purchase jump time or Sky Socks. Am I allowed to bring in outside food or drinks? Unfortunately, we do not allow outside food or drinks. However, if you have a birthday party booked with us, or have rented a party room, then you are able to bring in birthday cake, cupcakes, cookies, etc. Here at Sky Zone Plainfield if you're able to walk, you're allowed to jump! Is the price different based on age? Our prices vary by jump time, not by age. Jump prices are the same for those of all ages. Do I need to jump with my child? If you feel comfortable allowing your child to jump on their own, and they are able to walk and follow the rules, then you do not need to jump with them. Yes, the weight limit is 300 pounds. Walk-ins are accepted for jump passes. Groups and birthday parties must be booked in advance.